A giant dinosaur, knitting sheep and special boards displaying community art are just a few of the sights that will greet you at the marvellous Phoenix Park. Providing something for everyone, the park is ideal for walking, cycling or simply keeping the kids entertained. The innovative structures and iconic art features are part of a sculpture park which was designed by the local community with assistance from Groundwork Dearne Valley. As you leave the flat area near the car park and walk upwards towards the top of the woodland you reach a wilder area with flourishing trees and fantastic wildlife. 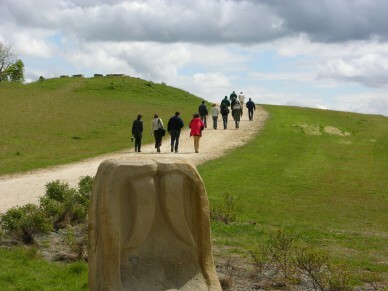 Brown hares can often be seen and birds of prey are a common sight, while the summit has views towards the Peak District. 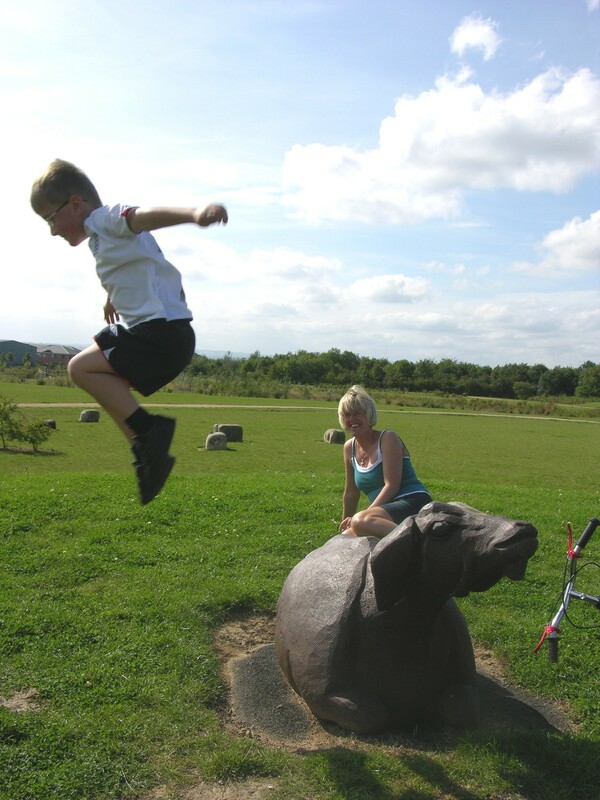 This makes the park ideal for walking, cycling or keeping the kids entertained – Phoenix Park has something for everyone. Phoenix Park is a popular woodland park created where the Hickleton Colliery once stood. 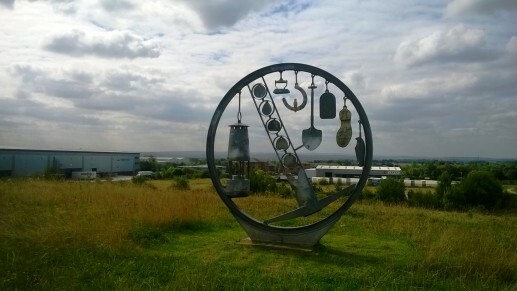 After the colliery closed in the 1990s, the derelict and contaminated site was remediated by the regional development agency, Yorkshire Forward with funds from the Homes and Communities Agency’s National Coalfield Programme. The Land Trust provided a sustainable and cost effective exit for the landowner, protects the money invested in restoring the land, and covers environmental liability associated with the site past history. 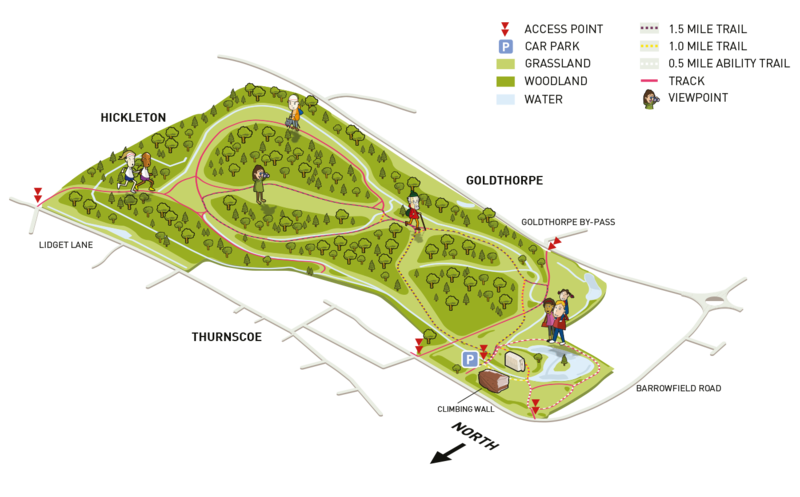 Now owned by the Land Trust, the site is managed in partnership with TCV.